Variants of the Rocket League Theme from the PS4 Theme and highlighting the game in the PS4 menu. The SARPBC theme, as well as the variant used for the Accelerato boost. All tracks from [Hidden link. Register to see links.] and [Hidden link. Register to see links.] of the Official Soundtrack (as recorded from the game). This includes all Main Menu tracks added post-release, including Firework, Breathing Underwater, Scorched Earth, Escape from L.A. and Seeing What's Next (Kevin Frey Remix). Everything from [Hidden link. Register to see links. ], [Hidden link. Register to see links. ], [Hidden link. Register to see links. ], [Hidden link. Register to see links.] and [Hidden link. Register to see links.] of Rocket League x Monstercat. All trailer tracks, including Looking to the Future (Mutator Trailer), Game Time (Hoops Trailer), When the Lights Come On (Aftershock & Marauder Trailer), Hard Buzz (Collector's Edition Launch Trailer), Infinite Power! (Rumble Trailer), Don't Stop The Party (AquaDome Trailer) and Solar Eclipses (Starbase ARC Trailer). Vocal versions of We Speak Chinese, Escape from L.A. and When the Lights Come On. The Choose Team, Winner, Loser and Forfeit tracks from before and after a match of Soccar, Farmstead and Hoops. All diagetic music played on DFH Stadium, Urban Central, Beckwith Park, Utopia Coliseum, Wasteland, Dunkhouse, Core 707, Starbase ARC and Salty Shores. Also included are the full tracks used for Neo Tokyo ([Hidden link. Register to see links.] and [Hidden link. Register to see links.]) Aquadome ([Hidden link. Register to see links.]) and Farmstead ([Hidden link. Register to see links.] and [Hidden link. Register to see links.])! The goal horns heard on Utopia Coliseum, Wasteland and Neo Tokyo! Rocket League Throwback Anthem, the music played during the credits as of July 2016. Big thanks go to [Hidden link. Register to see links. ], whose YouTube videos provided the source for the diagetic arena music and goal horns! The only tracks that I do not have in full are Funky Nugget by Mike Ault (for some reason I can't find that one! ), an unknown DFH Stadium Goal Sample that isn't listed in the credits. I also still need to get better versions of two tracks by The Empire State, 4 Chords and Chances Are. They're on MySpace but the music player functionality is currently under renovation. 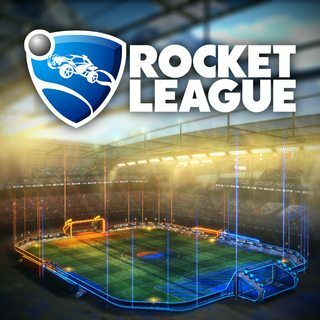 UPDATE 14: Rocket League X Monstercat Vol. 5 is out! So here's another update, bringing the total count up to 128 tracks. As is now standard, all the alternate art available from the individual releases of the tracks, as well as the overall Vol. 5 cover art, has also been provided. Personally, this is my favourite MCxRL volume yet! Please support the official releases! UPDATE 13! : Finally! This is the update for the Rocket Pass update, which I waited on because the official release of the Soundtrack was two weeks after the update itself. This adds all the new music featured from Rocket League x Monstercat Vol. 4, bringing the track count to 122. Also included are all the album art variants seen in the individually-available versions of the songs, which you can find in the Album Art folder. The only change made is that Charge has been moved up to be the first Vol. 4 track, as it's the default when starting up the game. Enjoy! UPDATE 12! : Salty Shores updates guys! The six tracks added for Rocket League x Monstercat Vol. 3 have been added! As well, the music stingers after scoring a goal on Salty Shores has been added too! Thanks to some sleuthing, I found four of The Empire State's tracks on iTunes in the album "After All...", so those now replace the old ones due to their superior audio quality. Due to the inclusion of the above tracks, The Empire State's tracks have been re-ordered to have the "After All..." tracks included in their original album order, followed by 4 Chords and Chances Are. I also discovered that Soccar, Hoops and Farmstead have specific tracks for forfeitting a match. These have now been added. I've decided to include ALL of the album art used by the music tracks in an Album Art folder, including the PS4 icon, the Collector's Edition cover, all of the variant covers for Rocket League x Monstercat Vol. 2, and many more. This means that if you want to use different album art from what I used, you can easily swap them back in using a program like mp3tag. UPDATE 11! : Another update, another collection of Monstercat music! This contains the six new music tracks included with Rocket League x Monstercat Vol 2! UPDATE 10! : With the release of Farmstead comes the most expansive and revamped update yet! With the revelation that Beckwith Park has had diagetic music for ages, I discovered that MrMii2012vr has been uploading rips of these and the goal horns to YouTube! Combined with the Farmstead tracks, that brings the Soundtrack up to a round 100 tracks! Change list is below! All "Goal Medley" tracks now end with "Stingers" instead for brevity. For example, "Urban Central Goal Medley" is now "Urban Central Stingers". This is because the tracks also play during saves, or just at random. A new track, "Unused DFH Stadium Stingers", has been added as well. The Beckwith Park Stinger tracks have now been added. There are two versions, one for the 1.34 update, and a second for the replacement variants from the 1.35 update. Core 707's Stingers now have their own track. It has been placed right at the very end before the credits, as Dropshot was added after the Hoops mode was. The goal horn tracks for Utopia Coliseum, Wasteland and Neo Tokyo have been added; these are the music clips heard right when a goal is scored. The other arena's horns were not included as they felt more like buzzers than outright music pieces. The Shibuya Shift and Neon Glow Medley tracks have now been replaced with their full, unfiltered original tracks!!! The banjo versions of the Rocket League Theme heard for Choosing a Team, Winning and Losing on Farmstead have been added. Sheraton Brown and Red Haired Boy by Forkroot have been added. These provide the samples for the diagetic music on Farmstead. The full track that Red Haired Boy comes from has been included too. The original version of Spell by Hollywood Principle has been removed. I thought it was the source of the diagetic music on Core 707. It wasn't. UPDATE 9! : Another update! Now included are all the tracks from the [Hidden link. Register to see links. ], taking the tracklist up to 88, wow! UPDATE 8: A brand new update to the game means a brand new update to the soundtrack! Added two versions of Spell: the original and the version heard in the game menus. Also added the original version of Spell, which is used as goal replay stingers in the Core 707 map! Some tracks have been re-ordered, so that their Trailer/Menu version now comes first and is then followed by the original. I decided to change the naming of the Menu Mixes, as I found that tracks like Spell have their menu mixes listed as Radio Edits. These have all been changed, and any instance of the word Mix has been replaced with Edit. The formatting of the titles has been changed to replace the use of hyphens with brackets. In the case where two of these appear, the second will be in square brackets. An example title would be "Spell (Sando Remix) [Radio Edit]". UPDATE 7: Hot Wheels are here! With the release of the new update (which includes PS4 Pro support, woo!) comes the winner of the Indaba.com Firework Remix competition. There are two versions included in the Soundtrack, the second being the originally-composed track by Melad. The first in the track listing is actually the slightly longer Menu Mix as heard when starting the game, which has the chorus come in first before the opening lyrics. Enjoy! UPDATE 6:We now have Starbase ARC, so that means three new tracks have been added to the Soundtrack! We of course have Solar Eclipses, where we have both the shorter edit as heard in the main menu and the full-length original. As well I've included the Goal clips that play after scoring a goal on the Starbase ARC. With the release of the October Update's AquaDome comes three new tracks! We have two mixes of Don't Stop The Party: the original track, and the Menu Mix that extends the opening with the primary beats coming in early on for a brief moment to coincide with the title screen. As well, we have Dead Man's Medley, the original track used for AquaDome's post-goal celebration music. The Trailer Mix of Infinite Power! is now included. This is the mix that was heard in the original Rumble Update trailer, which has a robot-filtered "Infinite Power!" before the chorus beats, as well as a sharper mix overall compared to the normal version. Both versions now have the exclamation mark in their titles too! Now includes TheFatRat's Infinite Power from the Rumble trailer! The Official Soundtrack Volume 2 is out, helping bump up the Expanded Soundtrack from 51 to 57 tracks! Added the full trailer tracks included in the OST Vol. 2, including Looking to the Future (Mutator Trailer), Game Time (Hoops Trailer), When the Lights Come On (Aftershock & Marauder Trailer) and Hard Buzz (Collector's Edition Launch Trailer). The original trailer mixes of Looking to the Future and When the Lights Come on have been retained, while Game Time and Hard Buzz replace theirs outright. Included the RLCS Theme included in Vol. 2, which is the full version of the music that plays during the intros and outros of the Rocket Legue Championship Series on Twitch. With the release of the Neo Tokyo map, I decided to go back and completely revamp the Soundtrack, which now contains more music than ever before! Added Seeing What's Next (Kevin Frey Remix), the instrumental version of Escape from L.A. as heard in the Xbox One launch trailer, and the vocal version of We Speak Chinese. Added the Choose Team, Loser and Winner tracks for the Hoops game mode. Added audio tracks from the Mutators, Hoops, and Aftershock/Marauder Trailers, as they have not yet had their music released. Added medleys for the diagetic samples that play after scoring a goal in the Utopia and Wasteland maps. Neo Tokyo is also included, but its medley is split into Shibuya Shift and Neon Glow tracks. Added various individual diagetic track samples that play during a goal replay. These are Mike Ault's Funky Nugget, a version of High Fives that I cannot find elsewhere, and an unknown track from DFH Stadium that isn't listed in the credits. Re-recorded all in-game, non-licensed music using an optical cable, meaning the music now sounds better than ever before. This includes the trio of Rocket League themes (as well as the Medley), the SARPBC easter egg theme and it's Accelerato boost variant, and the Choose Team, Winner and Loser themes for the Soccar game mode. Re-recorded all of the Main Menu music using the the optical cable. This in particular alters the Menu Mix of Breathing Underwater, which has the timing of its intro adjusted slightly now that it doesn't have to be in-sync with the opening credits. Updated the track names for Choose Team, Loser and Winner to include the Soccar game mode name, to differentiate them from the Hoops versions. Updated the artist listings to match my other soundtracks and include previously uncredited artists. All tracks now have correct year metadata as well. Hope you guys enjoy the soundtrack! Last edited by KBABZ; 11-30-2018 at 04:46 PM. Awesome, I've been looking for this for a while! Thanks! Hi KBABZ, would you kindly update this with the new DLC music? I do intend on doing that! However I won't have time atm as I'm flying out to PSX for a week. Stay tuned! Hey guys, just a heads up that I am updating the Soundtrack with a lot more tracks. In addition to Chaos Run, Team Select, Winner and Loser themes, I'm also collating all the diagetic music that plays when scoring a goal in the Mannfield and Train Station stadiums! I am however having trouble finding one of them, Funky Nugget by Mike Ault. Considering he's uploaded all the other music he's contributed to the game (basically his own personal collection), it's surprising that I can't find it anywhere. Where are those Dr. Awkward tracks, though? Hi KBABZ, with the upcoming patch do you plan to check into this again? Does the patch contain new music? I haven't seen a new trailer for it. Not at all, but it's not 128 mp3 by any stretch of the imagination. As far as I know, each major patch added a new track, but time will tell. I was also curious about the other stuff you were working on as mentioned above, like the winning and losing tracks, scoring-a-goal tracks. Hey guys! I've updated the soundtrack, which now contains almost all the diagetic music listed in the credits, as well as Scorched Earth (Chaos Run theme), Escape from L.A. (the XBO launch trailer music), and Rocket League Throwback Anthem, because what the hell. It's also downloadable from Mega too, so it should be faster now! Thanks for the update, KBABZ. Also, for taking the time to make this and to share. I've replaced the old soundtrack with the new, been enjoying the listen. Wow this is really cool, thanks. Tough job getting this Funky Nuggets song. Cannot even find it ingame. Paging KBABZ. Huge Neo Tokyo patch hit on Tuesday. Would you kindly update with the latest tunes? Psyonix has actually announced that there'll be a second Soundtrack containing the music that's been released since the first one. Should I wait until this Soundtrack comes out?